The evening will begin with guests tasting cocktails and appetizers under the centuries old oak trees overlooking the rolling hills, horses and paddocks at dusk. 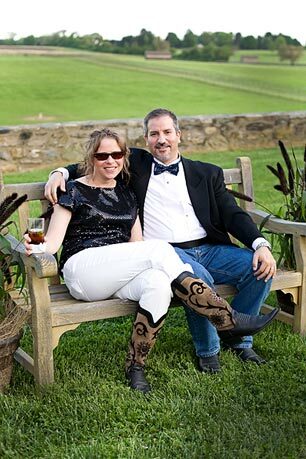 The sixth annual Black Tie and Boots Ball, featuring cocktails, dinner, dancing and a live auction, will be held Saturday, May 7th at Bryn Clovis, Brushwood Farm in Malvern. The Ball benefits the Devon Horse Show and Country Fair Foundation, and limited tickets for $150 per person are available. Each year the popular event and Horse Show tradition sells out weeks ahead of time! The evening will begin with guests tasting cocktails and appetizers under the centuries old oak trees overlooking the rolling hills, horses and paddocks at dusk. Then guests will enjoy dinner and dancing under a sparkling, light filled tent and the stars at Bryn Clovis, and a live auction, called by Freeman’s Auction House, is sure to be exciting. One of the items to be auctioned is a ride on the stagecoach of the presenting sponsor of the Devon Horse Show and Country Fair, Wells Fargo. Last year, offerings auctioned included a limousine transportation and behind-the-scene tour of the Cartier Mansion in New York City, and another was a trip to San Francisco with an insider tour of the Museum of Modern Art. Entertainment for this year’s ball will be Sugarfoot Farm, featuring hometown musicians George “GT” Corrigan and Jim Unger. The band plays the kind of classic, danceable rock-and-roll that we all know and love. Catering will be provided by Jimmy Duffy Catering. Beautiful floral arrangements will be provided by Valley Forge Flowers. It is truly a magical evening in a one of a kind setting. The Black Tie & Boots Ball will be sponsored by Pepsi Beverage Company. 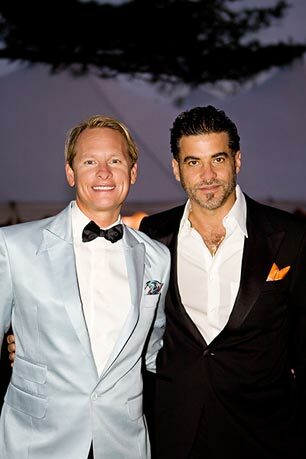 Carson Kressley, of ‘Queer Eye for a Straight Guy’ fame, is on the board for Black Tie and Boots and is an entertaining regular each year-assisting with the live auction. Bryn Clovis is the thoroughbred breeding farm owned by Betty Moran, who has campaigned such champion race horses as Belmont Stakes winner Crème Fraiche, Aintree Grand National winner Papillon and I’m Sweets. In 2004, Brushwood Stable bred Hard Spun, who, in the colors of Rick Porter of Wilmington, Del., went on to finish second in the Kentucky Derby, third in the Preakness and fourth in the Belmont Stakes. The 115th Devon Horse Show and Country Fair, May 26 through June 5, has many improvements, including all new state-of-the-art footing in the Gold Ring to complement the footing installed in the Dixon Oval last year, which drew many compliments. Not only will there be new footing in the Gold Ring, but the footing in the schooling area has also been up-graded. Devon benefits Bryn Mawr Hospital, to which it has donated nearly $14 million in the past four decades. 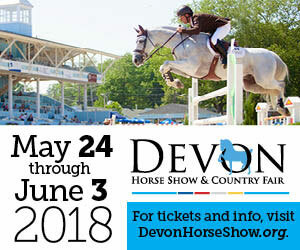 The ticket office opened April 11 at 10 a.m., and Devon enthusiasts who are eager to snag the best tickets for their favorite days, and the exciting jumper classes that are held every evening, will be purchasing tickets this week. So Devon fans are advised to call the ticket office early. 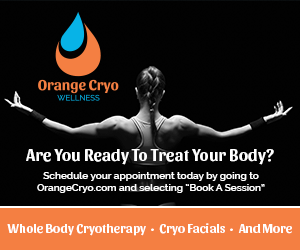 For ticket information beginning April 12th, call 610-688-2554. The ticket office is open Monday, Wednesday and Friday 10 a.m. to 2 p.m. and Saturdays 10 a.m. to noon. 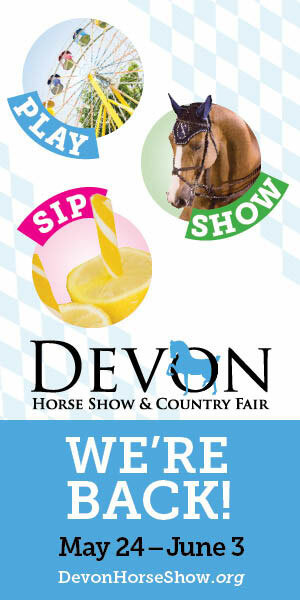 Tickets will be available April 13th over the phone, 610-688-2554, or via the internet by visiting www.devonhorseshow.org. To view a tentative online schedule of the 2011 Horse Show click here. 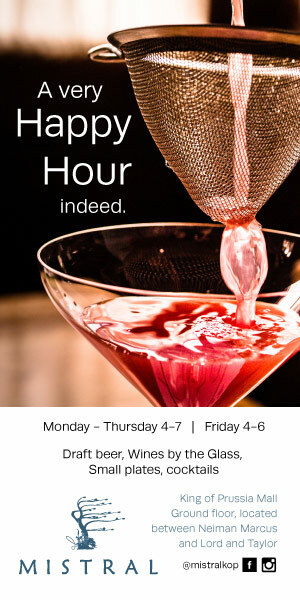 For details on this year’s special events at Devon click here. General admission is $8 for adults and $5 for children 12 and under and seniors 65 and over. Reserved grandstand tickets are available ranging from $12 to $50 depending on the performance. For additional information on tickets for the Black Tie and Boots Ball, call the Country Fair office at 610-525-2533 or visit the website at www.devonhorseshow.org.